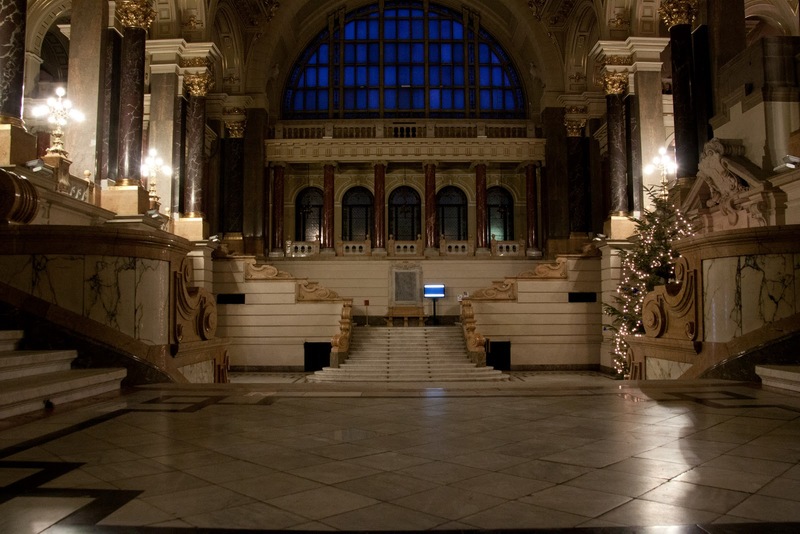 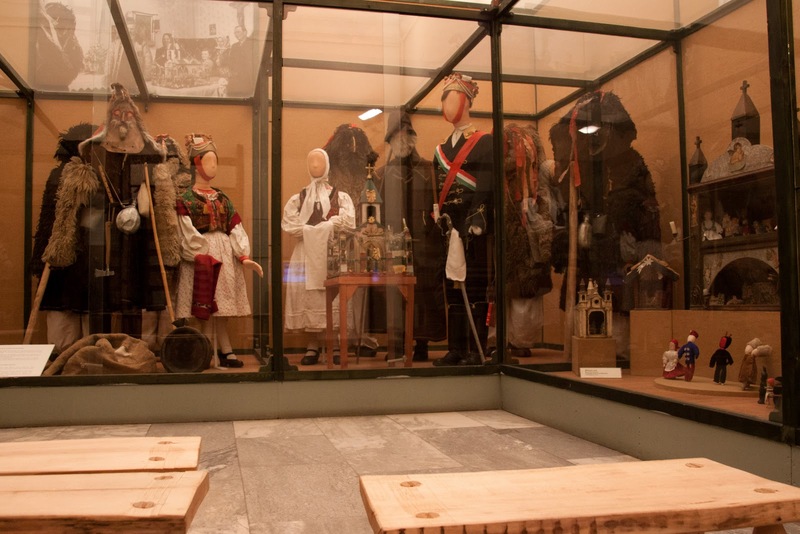 The Museum of Ethnography is housed in a beautiful building that sits opposite Parliament. 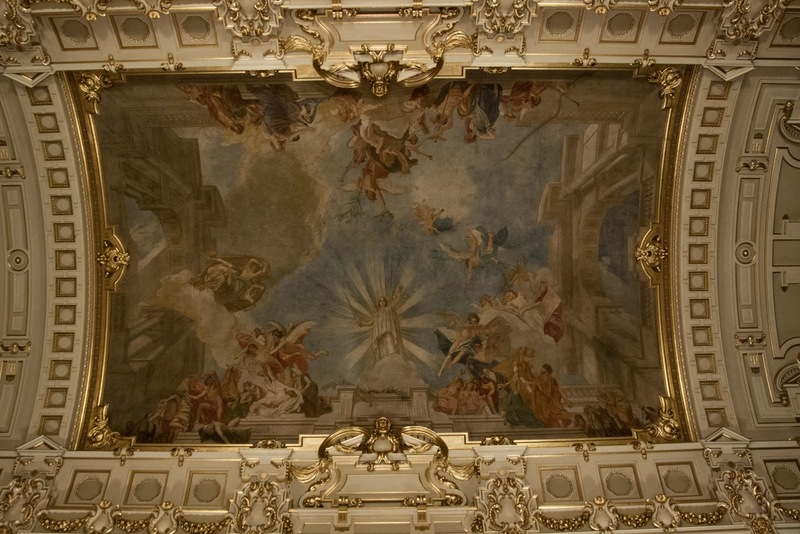 This beautiful ceiling is in the main atrium. 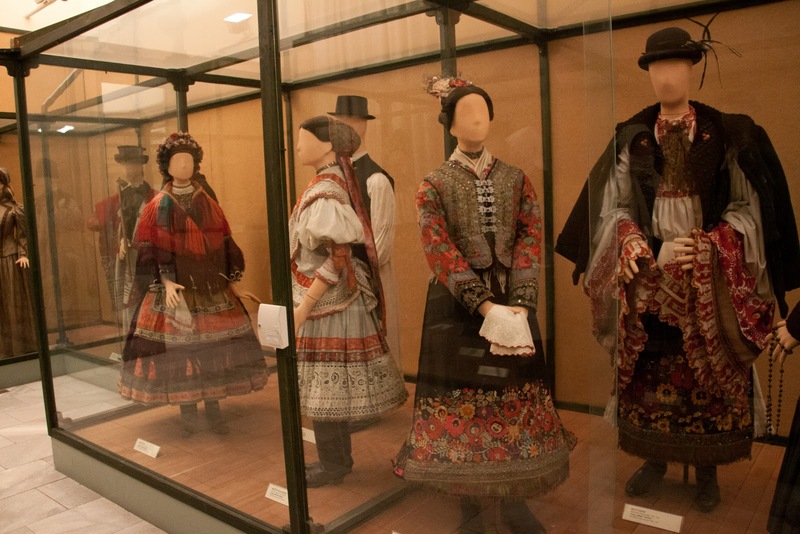 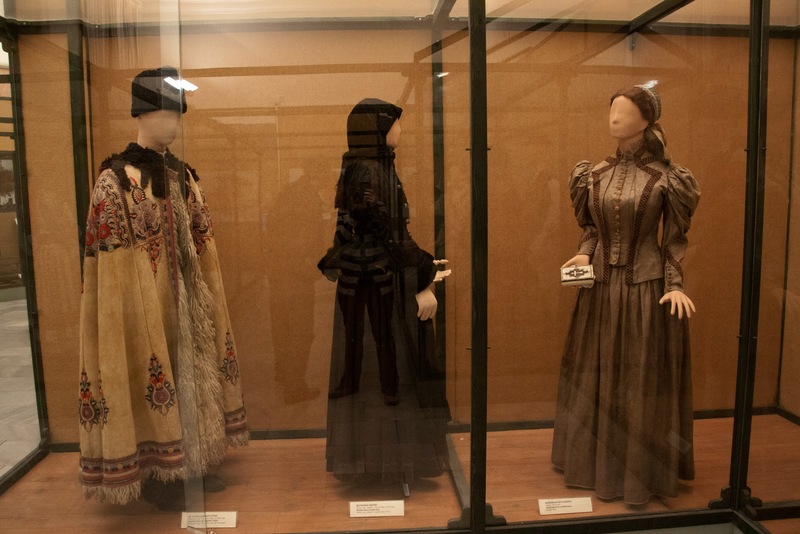 A history of Magyar costumes. 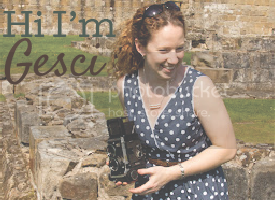 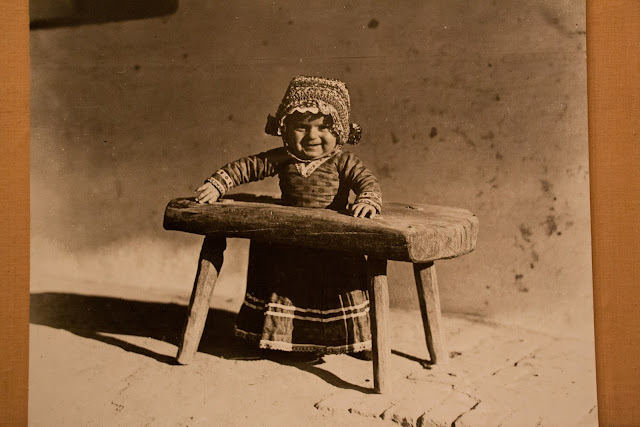 This was interesting: both a photograph and a copy of a baby-cage-walker-thing. 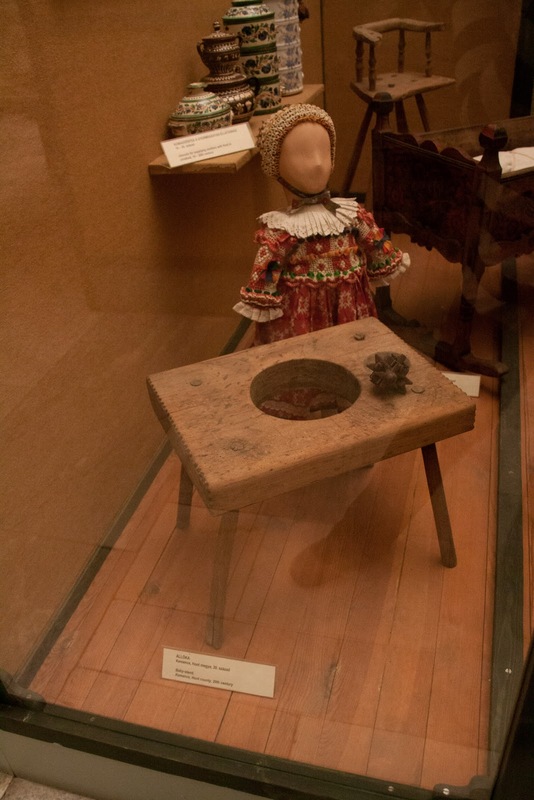 A stove similar to one seen in the Budapest History Museum. 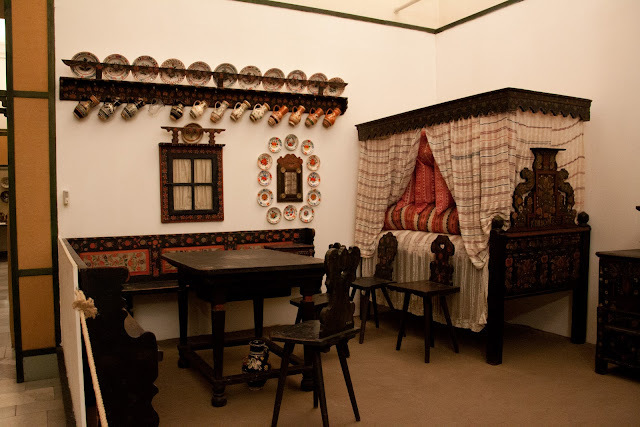 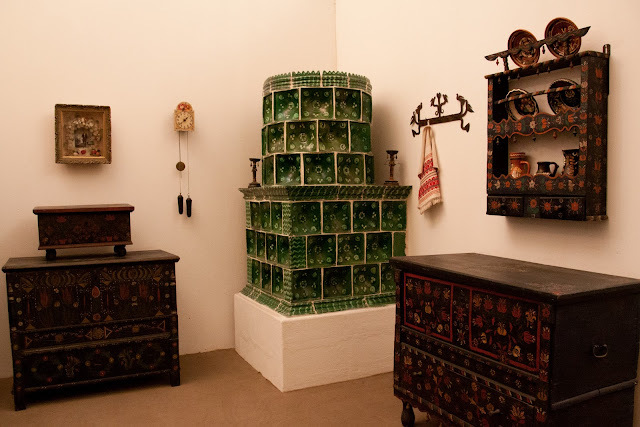 This room displays a traditional Hungarian interior.